Thanks to its advanced level of simulation and options for customizing content and functionalities, ASSETTO CORSA is the choice of several car manufacturers and simulator makers for their industrial, training, marketing and promotional applications. Click here to receive more information about the ASSETTO CORSA PRO programme. 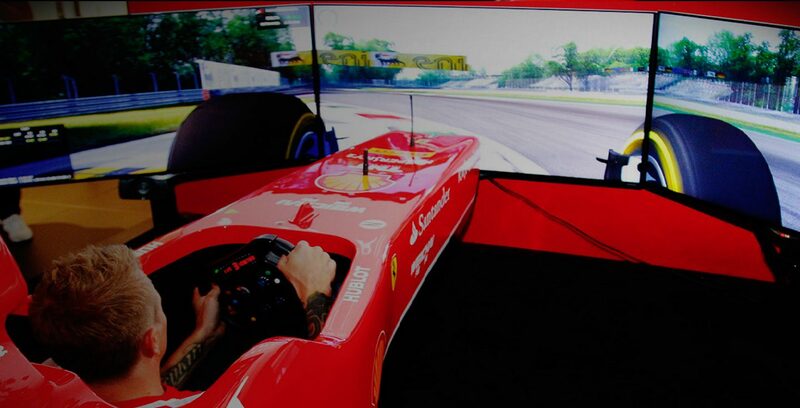 Assetto Corsa PRO is Ferrari’s choice for their professional simulators at their official simulation centre located in Milan. Click here to learn more about the experience or take a virtual test drive in official Ferrari simulators featuring authentic Ferrari cockpits with motion drive.